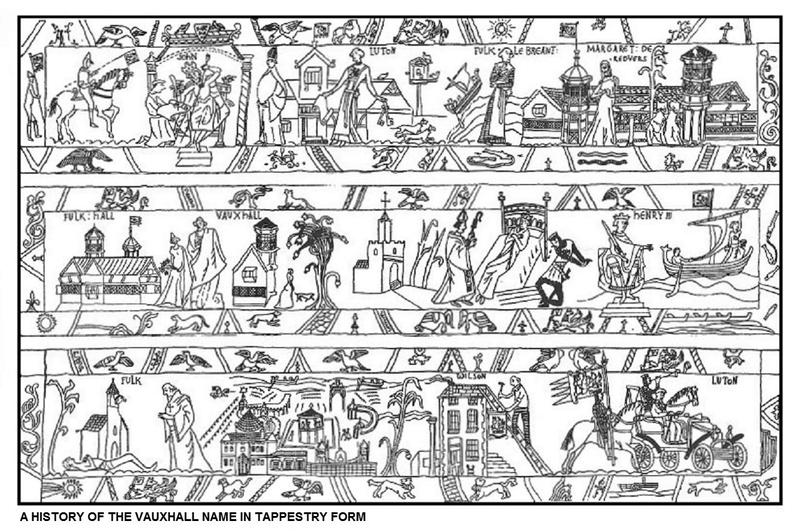 The Vauxhall name can trace its roots all the way back to the 13th century and the reign of King John (1166 to 1216), King Henry III (1216 to 1272) and of Magna Carta fame. The story starts with a man by the name of Sir Falkes de Breauté (Variously known and spelt as Fulk de Brent, Faulke, Fulke, Falkes, le Breant). De Breauté was of obscure Norman parentage, and has been described as the illegitimate child of a Norman knight and a concubine, possibly of a knightly family from the French upper Normandy village of Breauté, Gascony has also been associated with his lineage. Most chroniclers describe him as being merely from common stock, he was often referred to only by his first name which was said to be derived from the scythe he had once used to murder someone, as a sign of contempt. The errant King John was an unpopular monarch and in order to limit his reputational damage was always watchful for eager mercenary knights to hire in order to do any unsavoury bidding on his behalf. The first accurate records of Royal service by de Breauté are from 1206, when he was sent to Poitou by King John on Royal duties which at the time normally meant collection of financial taxes & deeds. Upon his return in February 1207 he was entrusted with the wardenship of Glamorgan & Wenlock and was also knighted. As a member of the King's Court this ambitious Plantagenet nobleman and soldier of fortune had, in spite of his original humble birth status, became what we would now term as a somewhat seamy "social climber" and it was this kind of ethos that meant he was the type of person who would do literally anything required to improve his social standing at the King's Court. Falkes was then made constable of Carmarthen, Cardigan & Gower Peninsular gaining a fearsome reputation in the Welsh Marches and destroying Strata Florida Abbey in 1212 for its opposition to King John. He was regularly employed in Royal service, including in trips to Flanders & Poitou and was in high favour with his Royal master. It is often said that he was a foreign mercenary condemned by Magna Carta, in fact this is incorrect because he was actually one of the Royalists who swore to abide by the charter's terms. Breauté continued to rise in power & standing during the First Barons’ War as an unquestioning subject of King John but earning the hate of baronial and monastic leaders alike. 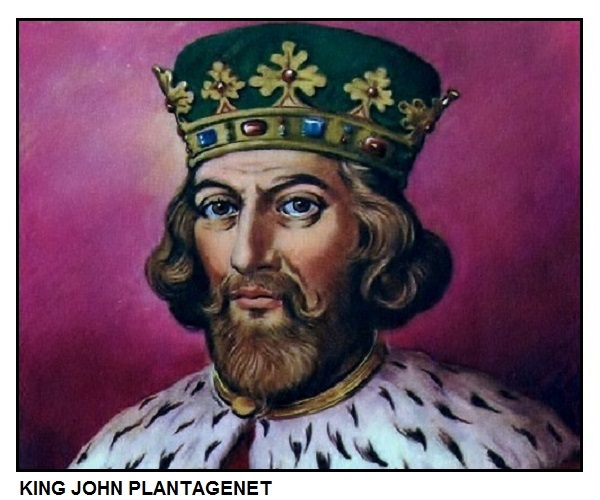 He earned the title of John's steward in 1215, a title he kept until the following year. On 28 November 1215, de Breauté captured Hanslope Castle in Buckinghamshire from William Mauduit, and soon after he captured Bedford Castle belonging to William de Beauchamp and as a reward Falkes was allowed to keep it for himself. In 1216 King John divided his army between William Longespee, 3rd Earl of Salisbury﻿ and four un-baronial captains, one of whom was de Breauté. When Prince Louis of France invaded in the same year de Breauté was tasked with holding Oxford against the hostile baronial forces. On 17 July 1216 he and the Earl of Chester took Worcester, which had unwisely allied itself with Prince Louis. In reward John gave de Breauté the marriage hand of Margaret Revières, the daughter of Warin Fitzgerald the Royal Chamberlain. She was also the widow of Baldwin de Revières, the former heir to the Earl of Devon, who had died earlier in 1216, and after the death of the 5th Earl of Devon in 1217 her son became the 6th Earl of Devon. So this marriage effectively made de Breauté the equal of an Earl himself as he was regent for the Earldom until his stepson the 6th Earl reached his adulthood. As Margaret Revières' dowry he also gained control of the Isle of Isle of Wight and as part of her inheritance took over Stogursey as well and in the process becoming Chamberlain to the Exchequer. When John died on 19 October 1216 de Breauté served as the executor of his will, and was one of the Royalists who reissued Magna Carta on 12 November 1216. Under Henry III de Breauté continued to fight with the same loyalty he had shown King John. Holding the High Sheriffdoms of Cambridgeshire, Oxfordshire, Buckinghamshire, Northamptonshire & Bedfordshire he presented a major obstacle to the ambitions of Prince Louis and the Barons, although he did lose Hertford & Cambridge in 1217. Interestingly, at the same time Fulk was also granted the Manor of Luton and along with it officially granted the right to bear arms, it was for this change in status that Fulk chose a Griffin as his heraldic symbol & personal standard. According to the College of Heralds the Griffin was a mythical creature, half eagle half lion, and was the kind of animal that frequently appeared in English heraldic devices and was deemed "applicable unto Princes, Presidents, Generals and all heroick Commanders". It was ironic the Griffin chosen by Fulk le Breant was then adopted by Alex Wilson, the founder of the company that eventually became Vauxhall Motors, and then returned to Luton some seven centuries later. On 22 January 1217 de Breauté and his men committed their worst atrocity thus far, attacking St Albans because it had agreed terms with Prince Louis, although it had only done so under duress. After attacking the townspeople his men turned on the abbey, killing the abbot's cook and only leaving after blackmailing the abbot himself for 200 marks. His men also attacked Warden Abbey, and although he eventually compensated St Albans it was felt he only did so to please his wife. The virtues of valour and magnanimity were sadly misplaced in Breauté, as it is also alleged around this time that he arrested a St Albans monk who was collecting church tithes, Breauté took all the money and put the monk in stocks at Luton. At the end of February 1217 Breauté led a Royalist force in an unsuccessful attempt to relieve the port of Rye. After this he captured the Isle of Ely, before playing a critical role in the campaign leading up to the Battle of Lincoln Fair. He joined the Earl of Chester to besiege Mountsorrel, and in response the rebels were forced to divide their forces, with Prince Louis and half his forces remaining at the siege of Dover while the rest marched north to relieve Mountsorrel. 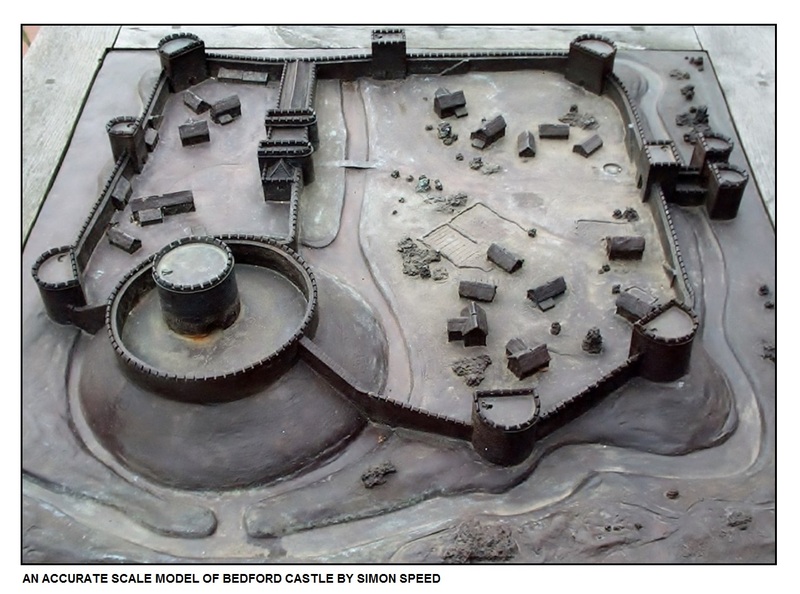 After achieving this the rebels marched to Lincoln to assist a rebel force besieging Lincoln Castle, while the town had fallen to the rebels the castle garrison had remained loyal to King Henry. By the time they arrived the Royalist force was already in place under the command of William Marshal, 1st Earl of Pembroke, and he forced a battle in the streets of the town itself. Before the battle began de Breauté had led his force into the castle itself, and his crossbowmen shot down at the rebel force from the walls. Sallying out himself, with such force that he was captured before being rescued by his men, he fought on until the rebels fled, with even the Angevin leaders acknowledging his role in a critical victory against superior forces. In reward for his role in the victory the Royal court celebrated Christams at his expense at Northampton, but this proved to be the climax of his career. After the battle he was one of the many fighters who were alienated by Hubert de Burgh, Justiciar of England, over the keeping of the castles they had captured for their own profit. Due to his role in the campaign and the victory at Lincoln itself Breauté was unassailable for many years, he deflected judgements made against him in 1218 and 1219 and kept hold of his High Sheriffdoms, including that of Rutland. Between 1218 and 1219 he also served as a Justice of the Peace for Essex, Hertfordshire and East Anglia, and when William de Redvers, 5th Earl of Devon died he was given the castle of Plympton. He had made many enemies due to his actions during the war; numbered among them were William Marshal, who pawned four manors to him during the war and had difficulty getting them back, and the Earl of Salisbury, who grew to dislike him after de Breauté supported NBicola de la Haie for constable of Lincoln Castle against Salisbury's personal preference. Due to his status as a commoner his position was more tenuous than that of his enemies, as he had no lands to base himself on, and relied increasingly on the favour of noblemen such as the Earl of Chester and Peter des Roches, Bishop of Winchester, who supported him due to their disenchantment with the rule of Hubert de Burgh. In 1222 he cooperated with de Burgh to suppress a revolt by the citizens of London, capturing three of the ringleaders and executing them without trial. De Burgh's growing ascendancy drew de Breauté and his allies even closer together, but tensions boiled over in November 1223, when de Burgh and the King were forced to flee to Northampton while de Breauté, the Count of Aumale and the earls of Chester and Gloucester attempted to seize the Tower of London. A new civil war was averted by the intervention of Simon Langton, Archbishop of York, but after a parley in London on 4 December failed tensions rose again. Threatened with excommunication the "schismatics" returned to the King's court, agreeing on 30 December to give their castles and shrievalties to the King. De Breauté immediately lost Hertford Castle and the shrievalties of Oxfordshire and Northamptonshire, and lost the remainder of his shrievalties by 18 January 1224. The failure of de Breauté and his allies gave the advantage to de Burgh, who in February 1224 ordered de Breauté to give up Plympton and Bedford castles, rejecting his claim that Plympton Castle was part of his wife's inheritance. De Breauté refused to give the castles up, and in response the Royal court sent justices to his land with a fake charge of Breach of the Peace. They found him guilty of 16 counts of Wrongful Disseisin, and on 16 June William de Breauté, Falkes' brother, seized Henry of Braybrooke, one of the justices sent by the King and a personal enemy of both de Breautés. This was foolish in the extreme, as the King and his court were barely 20 miles away discussing the defence of Poitou, and on 20 June the King and his forces besieged Bedford Castle, with Simon Langton excommunicating both the brothers and the garrison as a whole. The siege lasted eight weeks, with over 200 killed by the missiles of the defenders. After a fourth assault broke the walls William and 80 knights were captured, refused pardon and were hanged. 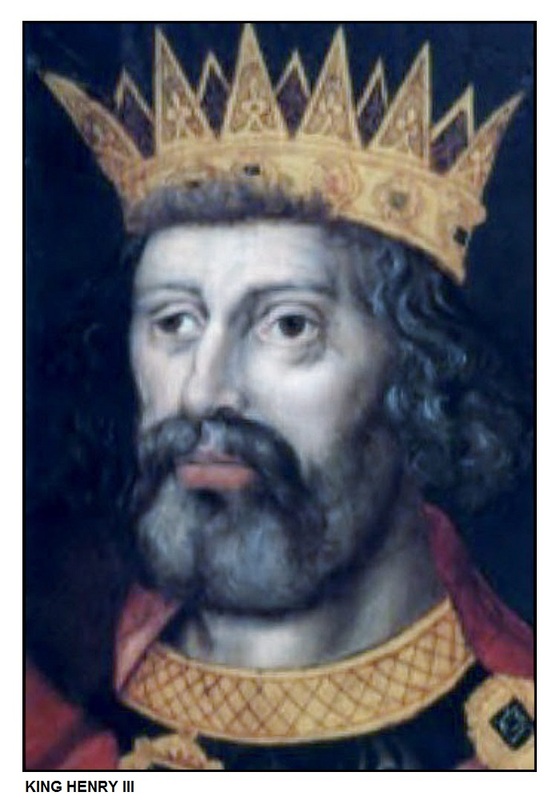 Having lost Bedford and his brother, Falkes submitted to Henry III on 19 August 1224, pleading for forgiveness in exchange for the loss of all his possessions. At this point his wife left him and pled for a divorce, claiming she had been forced into the marriage eight years earlier, although unsuccessful she did manage to recover some of her lands. On 25 August Falkes officially gave up his lands, and chose exile to France rather than judgement from the Barons in England. Arriving in Normandy he was imprisoned by Louis VIII in Compiegne as revenge for his defeat of the French forces during the war, but was released in 1225 either through the intervention of the Pope or through his Crusader's Badge, assumed in 1221. After release he spent several months in Rome, and published a fourteen-page defence of his actions, the Querimonia, which laid the blame at the feet of Langton and de Burgh, and begged the Pope to support him as a man excommunicated without cause and as a crusader. Departing for England, de Breauté was captured in Burgundy by an English knight he had once imprisoned, but Papal intervention yet again saw his release. After this he lived in Troyes, but was expelled from France in 1226 for refusing to pay homage to the King, and again stayed in Rome where he died just before 18 July 1226, allegedly from a meal of poisoned fish. His wealth & power amounted to nothing by this time. The Vauxhall Griffin logo, often mistakenly called a Wyvern, like the company name can trace its lineage hundreds of years into the past. The griffin, griffon, gryphon or gryphus is a creature of legend with the body, tail, and hind legs of a lion with the head, front feet talons and wings of an eagle. The lion is traditionally considered the king of the beasts and the eagle the king of birds, therefore the combination of both was always thought of as an especially powerful & majestic creature - even the king of all creatures. In legend, griffins not only mated for life but if either partner died then the other would continue the rest of its life alone and never to search for a new mate. 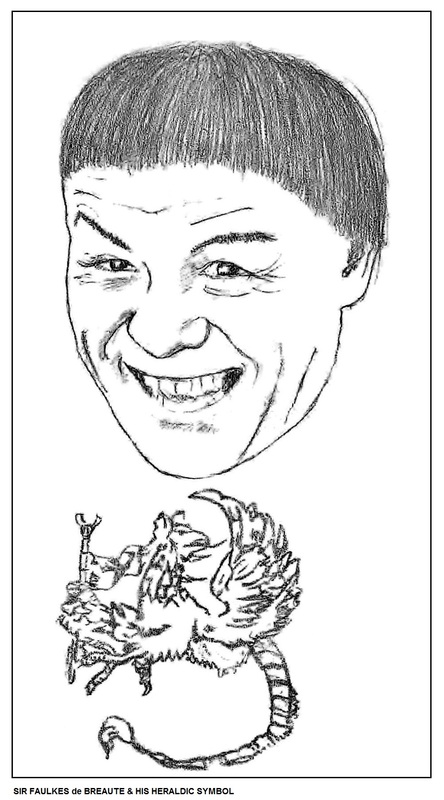 The griffin was thus sometimes used as an emblem of the Church's opposition to remarriage. A Hippogriff is a legendary creature, supposedly the offspring of a griffin and a mare. Being a union of a terrestrial beast and an aerial bird, it was seen in Christendom to be a symbol of Jesus, who was both human and divine. As such it can be found sculpted on some churches. According to Stephen Friar's New Dictionary of Heraldry, a griffin's claw was believed to have medicinal properties and one of its feathers could restore sight to the blind. Goblets fashioned from griffin claws (they were actually antelope horns) and griffin eggs (actually ostrich eggs) were highly prized in medieval European courts. When it emerged as a major seafaring power in the Middle Ages & Renaissance, griffins commenced to be depicted as part of the Republic of Genoa's coat of arms, rearing at the sides of the shield bearing the cross of St George. By the 12th century the appearance of the griffin was substantially fixed: "All its bodily members are like a lion's, but its wings and mask are like an eagle's." It is not yet clear if its forelimbs are those of an eagle or of a lion. Although the description implies the latter, it was left to the heralds for clarification. In British heraldry, the griffin's amalgamation of lion & eagle represents courage and boldness, and is usually drawn to powerful fierce monsters. It is used to denote strength and military courage and leadership. Griffins are portrayed with rear body of a lion, an eagle's head, with erect ears, and feathered breast, with forelegs of an eagle, including claws. These features indicate a combination of intelligence and strength. A male griffin has no wings, its body instead covered in tufts of formidable spikes, with a short tusk emerging from the forehead rather like a unicorn. The female griffin with wings was always more commonly used. As far as Vauxhall is concerned the Griffin logo was first used in 1857 by the Alexander Wilson & Co, a marine engineering company and later when the company was renamed the Vauxhall Iron Works Co Ltd after Wilson left but the Griffin logo stayed with the company. The logo has undergone numerous changes and adjustments since the company produced its first car in 1903. Most recent changes came in 2008 when, combined with the launch of the new Vauxhall Insignia, the Griffin was enlarged to focus around the head, wing and V-flag.